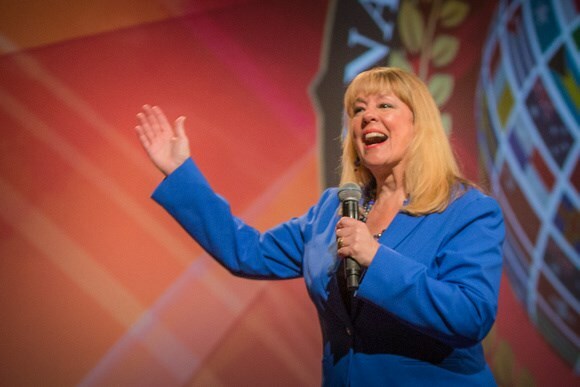 As an empowering and inspirational speaker, thought-provoking author, and respected member of John Maxwell's international speaking and coaching team, Peggy Brockman has moved thousands of people around the world to improve their lives, step OUT of old comfort zones and reach beyond their expectations. She delivers RELEVANT, game-changing solutions based on real-life EXPERIENCE, fundamental RESEARCH, and the kind of PERSPECTIVE and INSIGHT that help propel today's audiences to make the CHANGE and CHOICES necessary to WIN. With warm humor, high energy, tremendous insight, and real-results strategies, she delivers the tools audiences need. Peggy's book, "10 Feet From the Edge: Stuck in the Comfort Zone", was inspired by her own riveting health crisis, when at age 19 she found herself on the edge of giving up after a six-month hospital stay and multiple surgeries, Peggy's story reminds us of the power of CHOICE, and RESILIENCE in the face of adversities. This game-changing story will inspire, motivate, and fuel a resolve so strong, you're sure to step OUT of your comfort zones and realize heights both personally and professionally that you've never known before! With her award winning sales background teamed with her expertise in leadership training, behavior & personality styles, Peggy offers a variety of programs for your group. Sales & network marketing groups love her! Corporate leadership teams love her variety of leadership & professional growth platforms. If you're looking for some empowering inspiration for your group, Peggy can deliver with her "From Stuck to W.O.W. (Watch out World) speech. Peggy led a team of over 2000 sales entrepreneurs in the direct sales industry. So whatever your group needs....Peggy will deliver it with purpose, passion, and power. One thing's for certain – she GETS what it takes to move BEYOND boundaries and status quo pitfalls and truly live life with an empowered sense of RENEWED SPIRIT, RESILIENCE, JOY and BALANCE and she shares those solutions and insights with her audience! If you're ready to LAUGH a little, LEARN a lot, LOOK at life and business a lot differently, and STEP OUT of old habits and comfort zones into the a life you've always wanted, then please, invite Peggy Brockman to your event! From Stuck to W.O.W: Watch Out World ...based on her book "10 Feet from the Edge: Stuck in the Comfort Zone"
The "P" in LeadershiP: Leading with Passion, Purpose, & Possibility....and NEVER Procrastination! Get Out of Your Box and Lead! "As a self-made entrepreneur/business person, nothing that Peggy accomplishes surprises me. She is extremely professional, precise-yet fun at the same time. She can motivate an organization of Doctors or day laborers-knowing exactly how to find the right buttons to keep them entranced in the message-and focused on achieving the goal." "Peggy spent time with me to identify what message she could deliver that was significant to helping us achieve our goals and objectives. She did exactly that. Peggy's enthusiasm, her concise approach to our topic, her added personal touch, professionalism, insight, direction and encouragement were apparent during her presentation." "During my 15 year tenure as President of Ideal Health/The Trump Network, I had the honor to be exposed to many trainers from around the country. Only a few that stand out as being truly exceptional, possessing the qualities to both lead and train in a way that can move an audience to a better place - one of understanding where they feel clear about the information and empowered to move forward. Peggy Brockman is one of these few. I have worked with Peggy over the past 7 years as she trained thousands of people with varying backgrounds. Her style of leadership and training was always in high demand as she is a very special, unique and talented woman." Peggy was an awesome guest speaker for our military leadership forum. She was very professional, accommodating, and very inspirational. Her topic of going from STUCK to WOW was very motivational for our audience. I would definitely recommend her to anyone that is looking for someone that has a unique spin on leadership. We will definitely be booking her again in the future. Thank you Peggy! Peggy Brockman was outstanding! 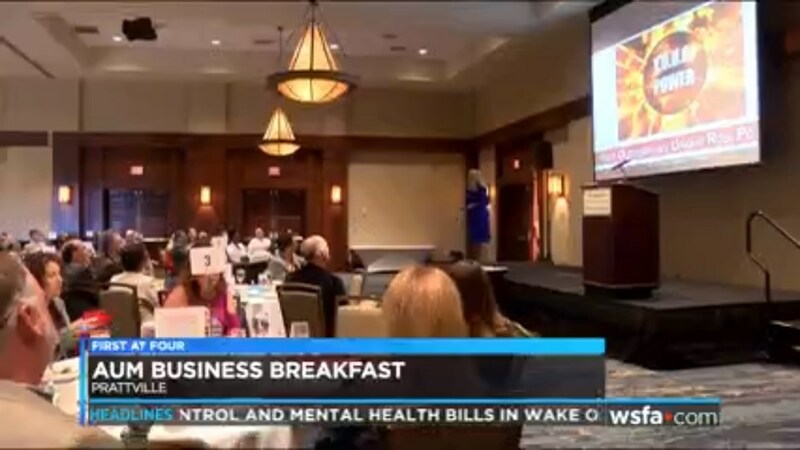 Our sold-out room of area business leaders were engaged in and inspired by her message. 100% of our comment cards came back with solid 5 star ratings and comments. She has a unique ability to pull the audience into her stories and take them on a journey that keeps them hanging on every word. Her message was spot on for our group of business leaders from sales execs to Sr. leadership to entrepreneurs. She was very easy to work with and was willing to spend time with our audience afterwards answering questions and autographing books. We will definitely have her back again. Peggy did a great job - our audience enjoyed her presentation and was able to walk way motivated and inspired. The only negative feedback we received was that her intro was too long. Peggy did an incredible job speaking to our Residents in our transitional housing program during their Life Skills Class. Her presentation was very professional and she reached out to them on their level. She shared not only her personal, inspirational story, but also helped them realize how they can move beyond their comfort zone. She gave them hope and allowed them to see past their current situation, into a bright future. My Residents said that her story was exactly what they needed to hear and it was perfect timing. We appreciate her time and dedication to our program, and would love to have her back! She is such a great speaker! 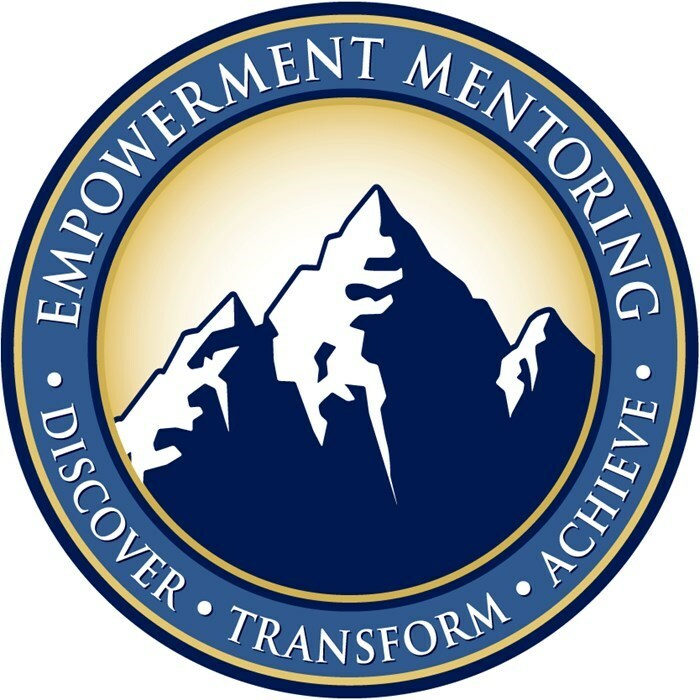 Please note Peggy Brockman, Inspirational & Leadership Speaker will also travel to Winter Park, Lake Jem, Maitland, Goldenrod, Altamonte Springs, Clarcona, Fern Park, Gotha, Casselberry, Ocoee, Windermere, Apopka, Longwood, Winter Springs, Winter Garden, Kissimmee, Oviedo, Oakland, Lake Mary, Plymouth, Chuluota, Killarney, Sanford, Zellwood, Montverde, Lake Monroe, Saint Cloud, Ferndale, Intercession City, Sorrento.